Those are chess set piece that already to play. 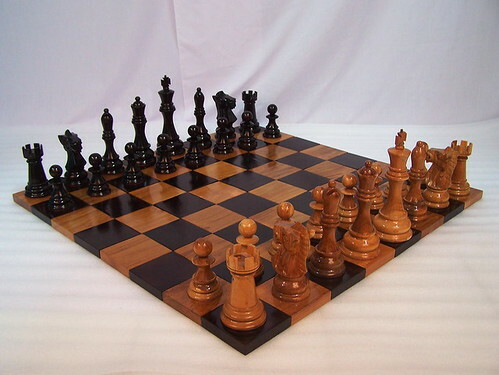 Brown chess against the black chess.Those are made from best quality Teak wood and carved by expert craftsman. Polished well with glossy touch, add its elegant looks. Wooden chess set is perfect for indoor game with your partner. You can play it in your living room or your office. Make an interesting game with this kind of chess set. To complete our chess set, we also provide chess board that had suit with the chess pieces size. A chessboard is square and flat, consisting of 64 squares, 32 black squares and 32 white squares. In order to be secure in shipping we pack our chessboards in specially designed crates . The same care is taken for our chess pieces.